I am a huge advocate of multi-generational travel. I started traveling alone with my Grandmother when I was twelve. Our first trip was to Greece. After that, we cruised around the Caribbean a few times and then explored a bunch of small islands. Growing up she was a constant fixture on most of my family trips as well. In her mid-90s she was still keen to travel as much as possible. As a matter of fact, she kept her suitcase packed at all times. In the fall of 2011, while we reminisced over our last trip with her (a cruise from Rome to Málaga), she casually slipped into the conversation that she was “ready to go again” whenever we were. Immediately we started dreaming of all the possibilities because, with Gram, the world was truly our oyster. It was soon decided that we would go through the Panama Canal over the Christmas holiday. 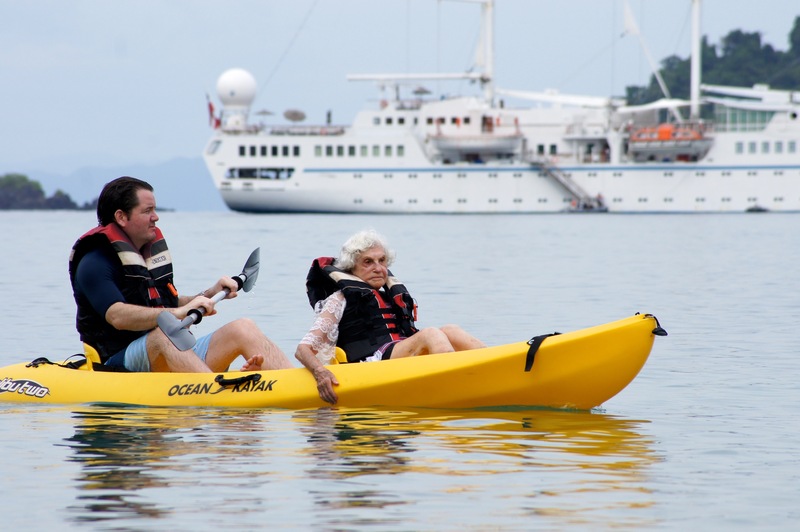 Cruising on small ships was always my Grandmother’s preferred method of travel. To our surprise, we found we really love it too. It is a great way to see a lot in a short period of time without having to pack up and move every few days, which can be difficult with kids and elders. Plus the intimacy and service you get on a smaller ship like the Windstar is absolutely extraordinary. Our children have never minded that there was no kids club, no water slide, or no daily volleyball game in the pool. Rather they enjoyed spending quality time with their Great-Grandmother and seeing things that you don’t normally do when you travel on a larger cruise line. This tiny private island is one of the destinations on the Panama Canal Cruise. Tenders shuttle you over from the ship so that you can spend the swimming, snorkeling and just relaxing. There are no sights to see or other distractions. It is a day to enjoy each other’s company. There are always plenty of water sports to partake in. Wherever we were for the day, the crew brought kayaks, paddle boards, and other water sports equipment. Other times we were able to swim right off the back of the ship into the ocean from their onboard water platform. Even at her 90s, Gram was never one to turn down an aquatic adventure. Costa Rica provides an opportunity to see the many wonders of the jungle. 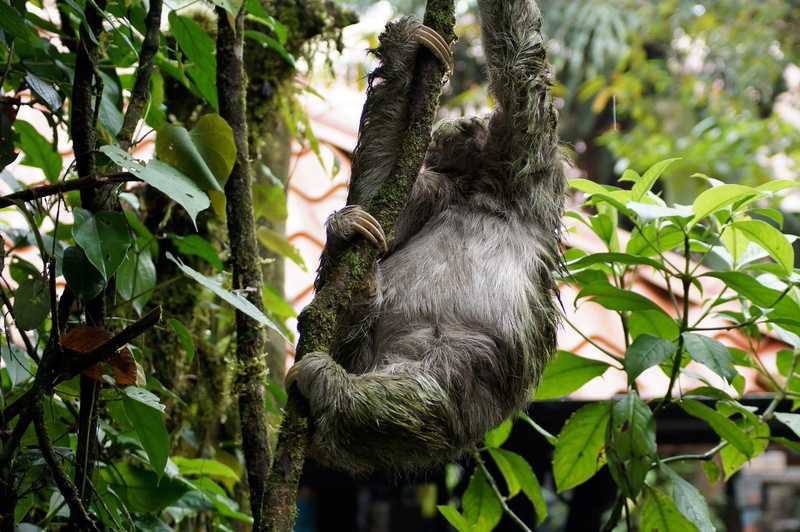 You can get this close to a sloth and watch as they slowly climb up and down the trees. 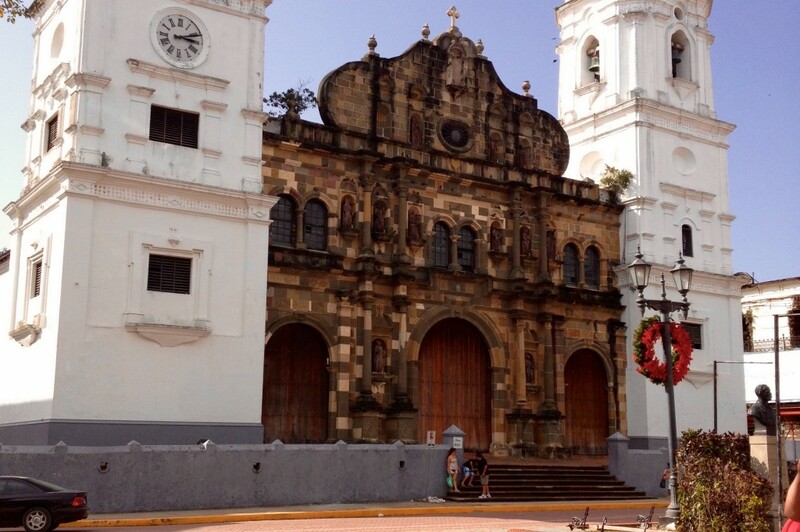 In Old Town Panama City you can admire the architecture. Casco Viejo’s mix of old and new caught our attention. Whenever we traveled with my Grandmother, we were always the anomaly. We’d have the oldest passenger on board and the youngest. It usually garners us a bit of attention and some questions from fellow travelers. But we don’t mind. It usually results in Gram telling a great travel story like the time she missed the last tender back to her cruise ship and had to take a fishing boat out to her ship only to climb up the outside to get back on board. True story! Looks like a great trip! I have heard great things about Windstar- and love the fact that it is a smaller ship. We have been on the Windstar twice now. I absolutely love the cruise line. I can’t imagine going on a larger ship. We have also been on the Seaborn which is about the same size (depends on which boat) and we prefer the Windstar for many reasons. We were that close to the sloth! It was incredible. I love the way your grandmother keeps on traveling, I hope I will be in the same situation in my 90’s!! And the sloth, never seen one but in pictures, amazing!! I love that last photo. So pretty. I think you are really on the cutting edge of your travels because I think multi-generational travel is hot right now. Hotels are catering to it, and so are travel packages. I know you have created so many memories. Thank Leigh. It really is an amazing way to spend time quality time with different generations. I know my kids will cherish this time with their Great-grandmother forever. She actually lives 15 minutes away from us and we see her weekly, but seeing the world with her is so different. The experiences we have together are extraordinary. Standing with her, crossing through the Panama Canal was simply incredible. That is a cute sloth! 🙂 No really! Costa Rica… another place on my travel bucket list. Love the shot of the island from the tender (or was it from the ship?). It does look quite tiny! 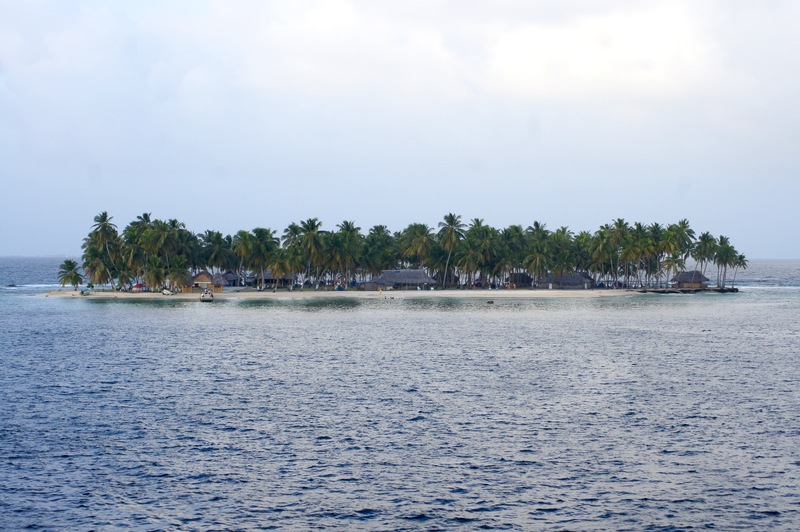 The little island is San Blas, off the coast of Panama. It was little. We just visited for the day, but did notice you could camp for the night. I’m really inspired to travel again seeing your grand mother despite of her age still very adventurous.. I sailed out of Venice with my Grandmother on her 96 birthday! We were on our last Windstar Cruise together. It was amazing. She is my travel inspiration.